I arrived in Montreal in the early evening after seven hours on the Greyhound from Boston. The Canadian border crossing was a pretty informal affair, nothing even nearly as serious as customs in the U.S.A. I was asked where I was going, how long I’d be there and when I’d be back. Nice. Anyway, a five minute walk from the bus-depot had me at he Montreal Hostel Central, which looks like a converted hotel. After getting settled, I met my first room-mate Sam and then a couple of other guys in other rooms, Raoul (who has a travel beard of epic proportions) and Kouji. After getting to know a few other guests, it turns out that there are a lot of people staying here while they find a job and a place to live for a year. Seems like a pretty sweet idea to me. Beers were collected, and we found ourselves hanging out in a small basement room drinking and talking a serious amount of travel before half of us decided it was time to check out the city’s night life. 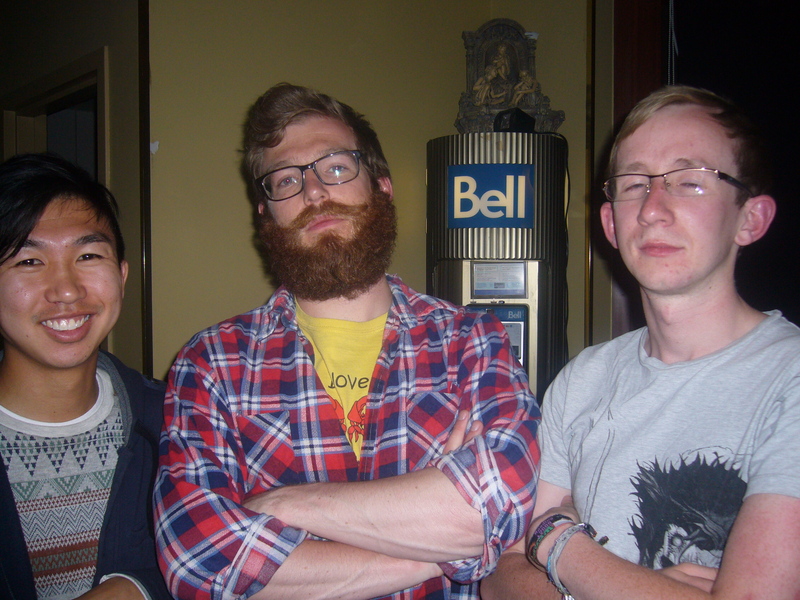 Matt took us to Les Foufounes Electriques; a rock club that played dance and pop music. Outrageous, but when you’ve had a couple of drinks it’s all good. I’ve never been in a club that was so crowded and those of us who can’t speak French immediately found it difficult to talk to a lot of the locals. Having been so used to talking bad English with Americans there’s a bit of a culture shock when the primary language suddenly changes, especially as it’s so localized. As the night drew to a close, having spent time between the bars, the dance floor and even the stage we called it a night passing out in the hostel in the early hours. The following morning once I had eventually managed to drag myself out of bed, I picked up a large fruit salad from a supermarket and started with my standard plan of “walk until I get lost, and then walk some more until I figure out where I am” and ended up doing a short tour of the Downtown area and finding myself by the Saint Lawrence River. 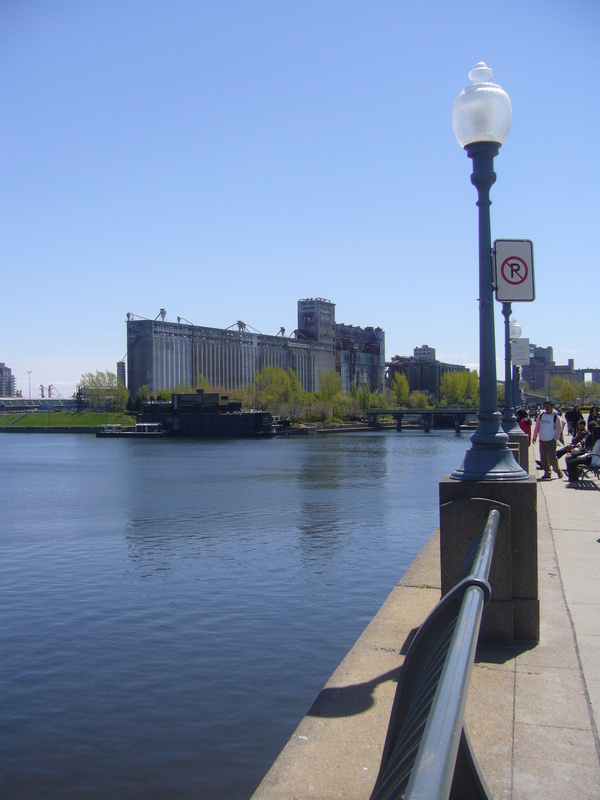 For those with an interest in GCSE Geography, you might be interested to know that Montreal is located on an island at the confluence of the Saint Lawrence and Ottawa rivers. 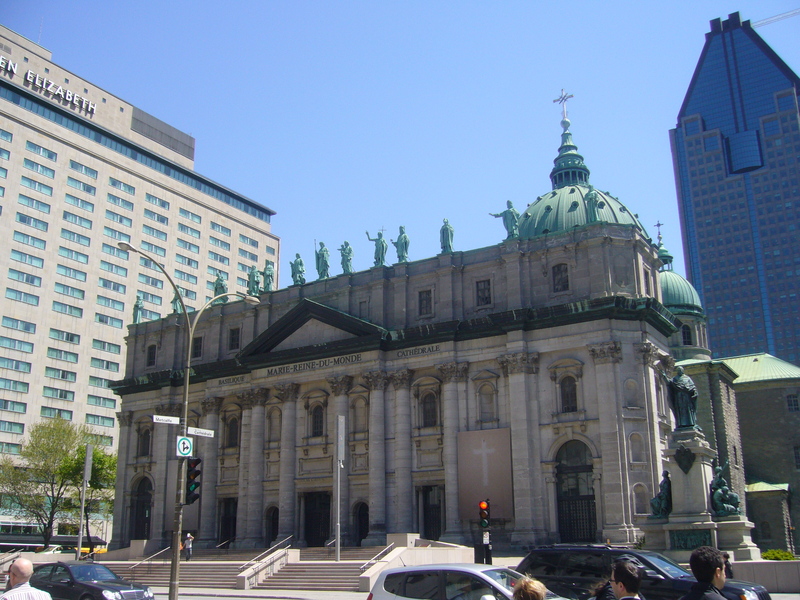 Downtown is an interesting neighbourhood as the architectural differences of the past and the present are combined together with skyscrapers looming over churches. Sandwiched between Downtown and the river is the historic old town; a jumble of cobbled streets and 17th century houses which makes it particularly picturesque. Especially as, for what seems like the first time in weeks, the sun was shining! 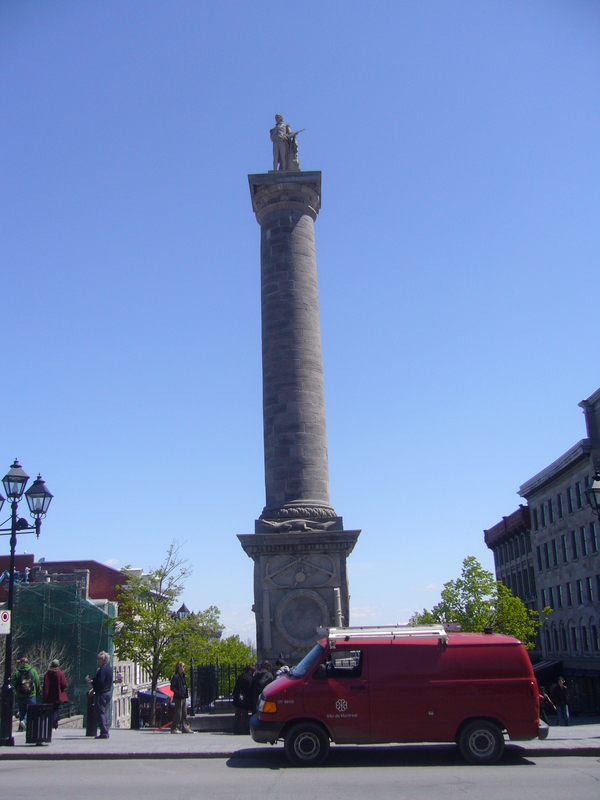 Interestingly, there is a small column in one of the small squares with our home-town hero Admiral Nelson perched on top of it; a replica of the very same statue in London. On returning to the hostel in the afternoon, I found Michael had just returned from an interview and he wanted to check out the Olympic Stadium across town. We met up with Matt and caught the metro. 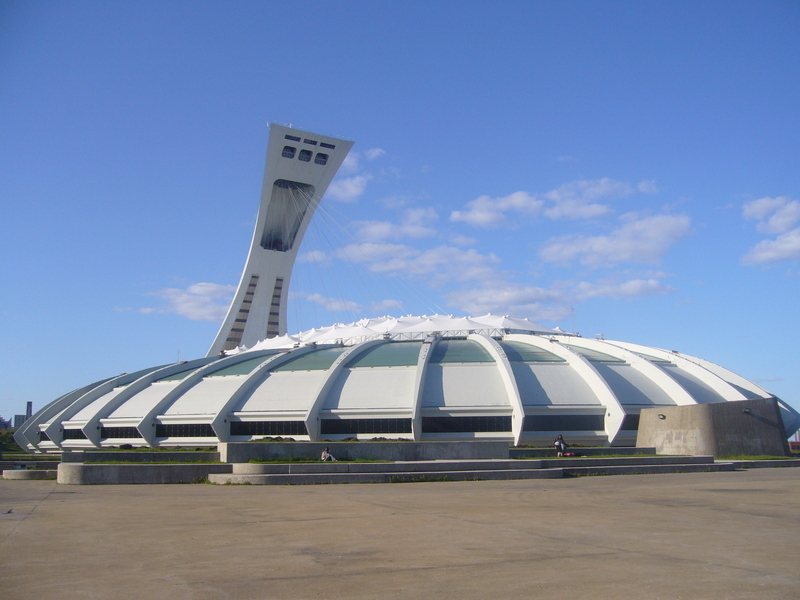 Once we got to our destination, the first thing we saw was a vast concrete plane with a futuristic stadium in the background; the home of the 1976 Olympic Games. The place genuinely looks like it’s been airlifted in from a former state of the U.S.S.R. We walked around the stadium, commenting on how the single tower looked like an over sized shower-head. 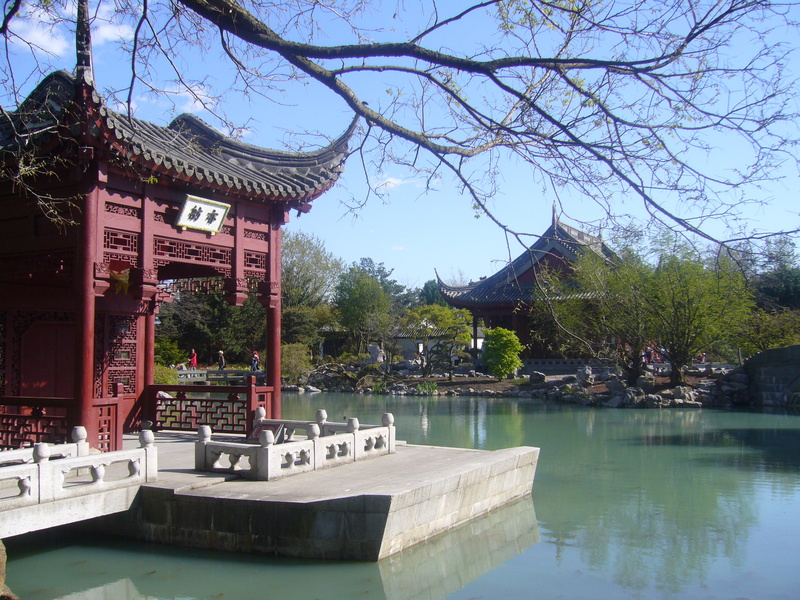 From the Olympic Stadium we crossed under the street to come out in the Montreal Botanic Gardens, we spent a lot of time strolling around the Oriental themed garden for the obvious reason that it looked awesome. Eventually, we took time to chill out and had the standard conversations of “where are you from?” “why are you here?” “how long are you here for?” getting to know each other a little bit. Shortly after this Michael revealed to us that he had got the job from the interview earlier that day, giving us good reason to celebrate later that night. 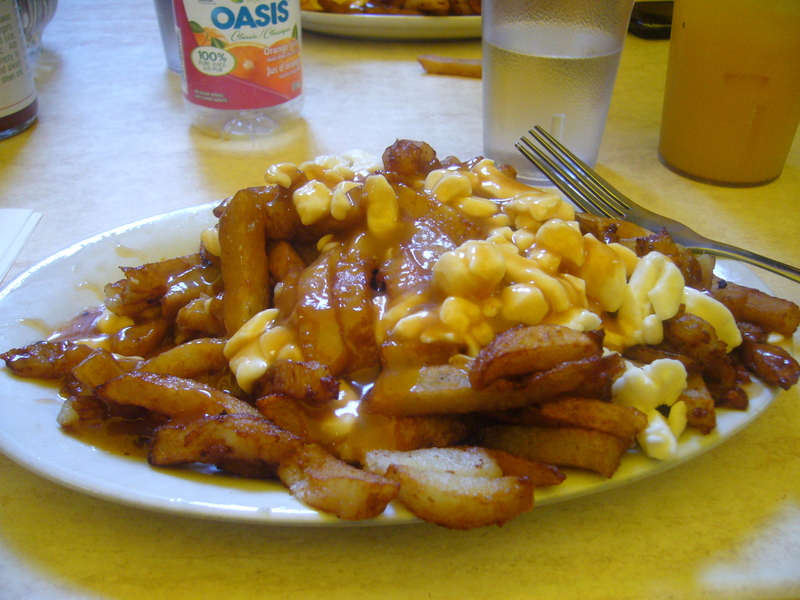 Once we had finished with the Botanic Gardens, we decided some food was in order and as we were in Quebec Province it seemed necessary to sample the French Canadian, I would say delicacy but it really isn’t all that delicate, heart attack on a plate; poutine. Poutine is essentially a mess of chips, gravy and cheese curds. Not all that bad, certainly worth trying and ideal for a hangover! That evening at the Montreal Central Hostel there was a rumour circulating that there was free pasta and a live band would be playing and as you can probably gather I’m not one to turn my nose up at such prospects! 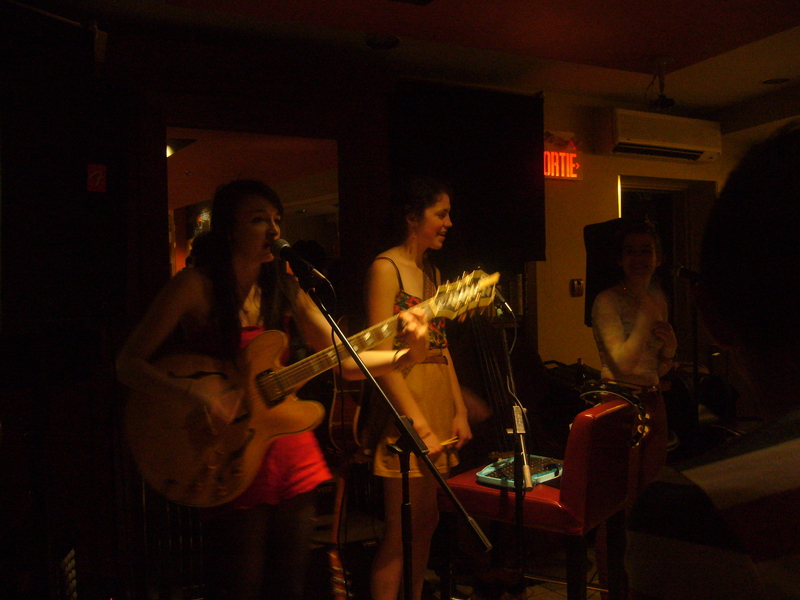 After some alfresco dining, the hostel common room turned into a performance area; Motel Raphaël, an all girl band from Montreal were setting up ready to play a mix of covers and a set of their own. They began as a three piece, playing covers of songs varying from Katy Perry’s Teenage Dreams to The Cranberries’ Dreams before playing a set of their own material when their bassist eventually turned up. Everyone at the hostel got pretty into it and seemed to enjoy their set, as they finished what they claimed would be their last we began demanding one more song! At which point they told us they didn’t have any more songs. Raoul then began chanting “write more songs” before we eventually got down to “play a song again” which they did. Once the band had finished, those of us who had enjoyed just enough beer to feel the desire for more rallied together and headed out to the five storey bar just around the corner; Le Saint-Sulpice, where we continued drinking long it to the night.